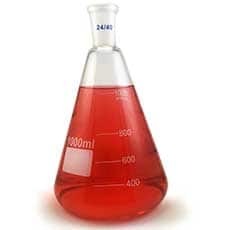 This 1000mL borosilcate glass Erlenmeyer flask is manufactured with carefully controlled wall thickness for proper symmetry between thermal expansion and mechanical strength. 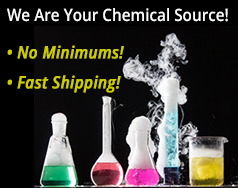 It features excellent chemical durability which provides contamination-free results and long life under the toughest lab conditions. The flask's neck is precisely tooled for uniform 24/40 ground glass stopper fit. It also has a large marking area. Always replace glass laboratory containers that have become scratched or abraded. These defects will make the glass prone to breakage while in use. Thick-walled glassware, such as bottles and jars, should not be heated over a flame, a hot plate, or other comparable source of heat. 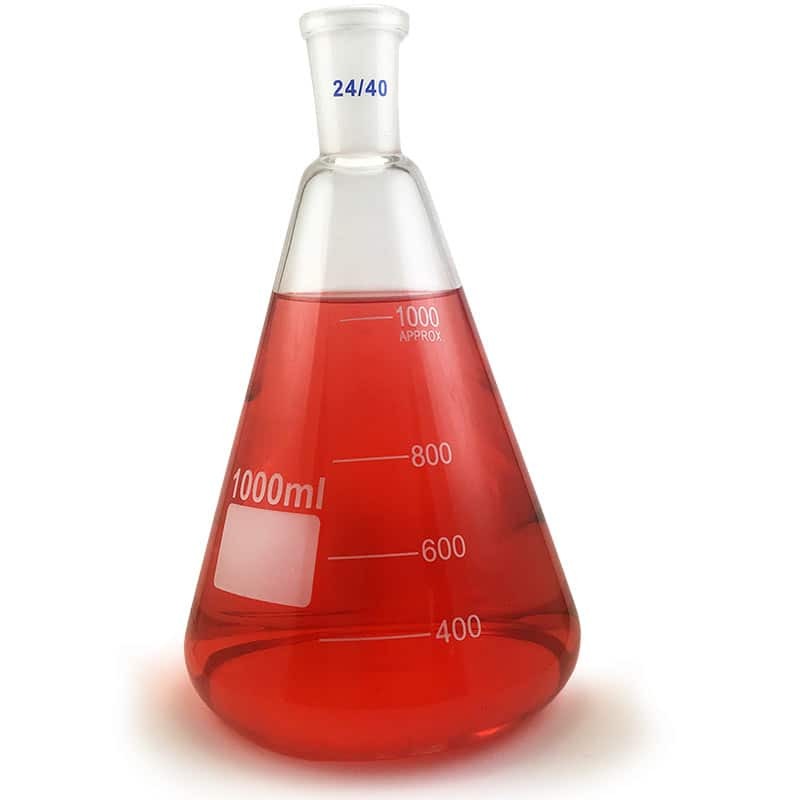 The maximum working temperature for Pyrex glassware is 490°C. However, once the temperature exceeds 150°C, ensure that heating and cooling is achieved in a slow and uniform manner. Do not use hydrofluoric or hot phosphoric acid in glass. Hot alkalis will etch glass.